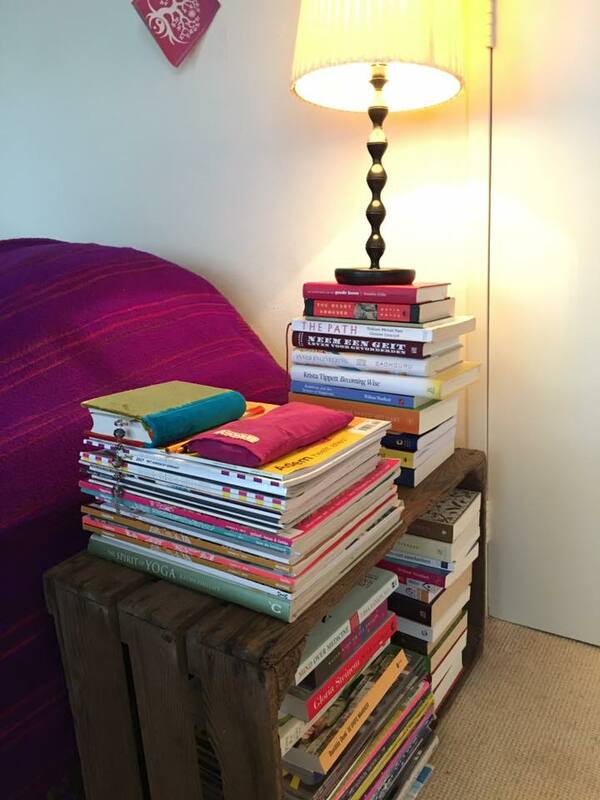 What is your bedside table telling you about yourself? It is believed that if you want to get a peek into a person’s soul all you have to do is take a look at their bedside table. I am not sure if this is true for everyone but in my case I feel what is by my bed is indeed stuff that is in my head finding its way to my heart at some stage. I don’t read everything in any particular orderly manner. My head is filled with an eclectic mix of knowledge (otherwise known as chaos) and likes to be fed accordingly. I have still not figured out whether it is by serendipity or by pure chance why I pick up one book and not the other at any given moment. Whatever the spirit behind the scheme of things, something always jumps at me at exactly the right moment, leaving me holding on to a particular word or phrase as if it is the magic key to a new insight. The right words to understand emotions can be extremely powerful. I have discovered this not only through David Whyte and other philosophers, poets and writers but recenty in email contact with my friend Salley Knight. She is an artist. Full stop. Not only does she create incredibly beautiful silk pieces but the description of her artistic process is so poetic that nobody really wants her to ever finish it. Her journey is art. And it reminds me how the journey should always be the art. That that is what David Whyte means when he talks about creating golden moments. Not only the ‘tidy images’ of the process when everything is picture perfect and we know what we are doing and looking confident and in control. But also the moments of doubt, feeling lost in the forest of possibilities. Stuggling with our own limitations. Our fear of not knowing, messing up, even losing interest. Sometimes the journey to continue working on your art may be looking at a rain drop on a winter day or stopping to consider that all art is in fact political. Opening up to the magic to feed our soul even if that means not doing anything directly related to what we feel we should be doing. Being able to sum up my emotions of a mother looking at her son and seeing him growing into an adult, in 13 words, is art. Sharing our vulnerability is not welcomed by everyone. Neither is our art. Goethe begins a famous German poem with the admonition: ‘Tell a wise person or else keep silent’. Preciousness is in the eye of the beholder.